From prehistoric Mexico to modern Istanbul, Mary Beard looks beyond the familiar canon of Western imagery to explore the history of art, religion, and humanity. Conceived as a gorgeously illustrated accompaniment to "How Do We Look" and "The Eye of Faith," the famed Civilisations shows on PBS, renowned classicist Mary Beard has created this elegant volume on how we have looked at art. Focusing in Part I on the Olmec heads of early Mesoamerica, the colossal statues of the pharaoh Amenhotep III, and the nudes of classical Greece, Beard explores the power, hierarchy, and gender politics of the art of the ancient world, and explains how it came to define the so-called civilized world. In Part II, Beard chronicles some of the most breathtaking religious imagery ever made - whether at Angkor Wat, Ravenna, Venice, or in the art of Jewish and Islamic calligraphers - to show how all religions, ancient and modern, have faced irreconcilable problems in trying to picture the divine. With this classic volume, Beard redefines the Western-and male-centric legacies of Ernst Gombrich and Kenneth Clark. The information about How Do We Look shown above was first featured in "The BookBrowse Review" - BookBrowse's online-magazine that keeps our members abreast of notable and high-profile books publishing in the coming weeks. In most cases, the reviews are necessarily limited to those that were available to us ahead of publication. If you are the publisher or author of this book and feel that the reviews shown do not properly reflect the range of media opinion now available, please send us a message with the mainstream media reviews that you would like to see added. 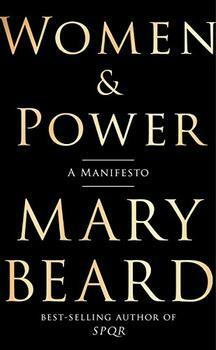 Mary Beard is the author of multiple books, including the NBCC finalist Confronting the Classics, and most recently, the best-selling SPQR. A popular blogger and television personality and a regular contributor to the New York Review of Books, Beard is a professor of classics at the University of Cambridge.